A generation ago, Thomas Magnum, a Vietnam veteran-turned-private investigator played by Tom Selleck, found himself treading water off the coast of Hawaii for an entire day in the 1983 season premiere of “Magnum P.I.” Alone and stranded after a surf-skiing accident, circled by sharks, Magnum fought to keep his head above water long enough for his friends to realize he was in danger. It was the Fourth of July, the anniversary of the death of Magnum’s father, and traditionally a day Magnum observed in solitude. As a powerful current pulled him farther from land, only one thought kept the exhausted swimmer afloat. “What keeps him going is the memory of his father saying to him, ‘You never quit. You never stop. You never give up,’ ” said the man who wrote the episode, Hollywood legend Donald Bellisario. Bellisario, the creator of “Magnum P.I.” and later “Quantum Leap,” “JAG” and current hit “NCIS,” has ambition and fortitude that, like Thomas Magnum’s, knows no bounds. Place a goal beyond his reach, and he will not stop until the mission is accomplished. There’s nothing the former Marine Corps sergeant thinks he is incapable of doing. It’s a blue-collar mentality instilled in him as a child during World War II by his blue-collar father in blue-collar Cokeburg (population 650), 38 miles south of Pittsburgh. That’s why, in 1976 at the age of 41, Bellisario left behind his wife, three kids and career stability as an advertising executive in Dallas. Bellisario wanted to write film scripts in Hollywood, and nothing was going to stop him. It’s why, 35 years after that episode in the Hawaiian surf – and after 69 Primetime Emmy nominations and an astounding $30 million donation to his alma mater, Penn State – Bellisario has not grown complacent. At the age of 83, one goal still eludes him. Nearly four decades removed from writing the pilot of “Magnum P.I.,” Bellisario sits slouched in a lounge chair on the back patio of his home in Montecito, California. Reminding you of where he came from, you observe the cracks in the skin of his hands and a stiff posture resulting from injuries he suffered in a helicopter crash while in the Marines. In contrast, showing you just how far he’s come, you notice his sun-kissed skin and white hair beneath a Donald P. Bellisario Penn State College of Communications hat, and you’re aware of the warm Pacific breeze carrying the aroma of the fresh coffee brought to him by an assistant. The room where Bellisario crafts his work overlooks the patio and a large pool. A few awards line the room’s shelves, but, to Bellisario, they are less significant than what is inside the computer on his desk: his magnum opus. Bellisario has built a legacy as a consistent hit-maker in the television industry, but a smash movie script remains a professional goal. “Feature films are my white whale,” Bellisario said. Today, Bellisario no longer has to worry about bad reviews – or how to keep food on the table for his family, as he did immediately after he graduated from college. Instead, his decision-making is focused on which of his three dogs squeaking a stuffed goose toy deserves his attention. Or which house he will buy in the next two days on Maui near his favorite golf courses. He writes, simply because that’s how he prefers to spend his free time. Even marriage to his wife Vivienne was the result of an effort to pull Bellisario from his desk. Vivienne’s youngest son, Chad, and Bellisario’s second son, Michael, were friends at a California high school. With hopes of removing their parents from each one’s home so that the two teenagers could socialize, the scheming classmates suggested Vivienne and Bellisario start dating. The dates turned to marriage in 1998, but Vivienne still struggles to pull Bellisario from his writer’s cove to join her on the links. His current house is growing thin on space to showcase his achievements, and his most recent may be his proudest: being named Penn State 2018 Philanthropist of the Year after his large donation. Bellisario’s dive into television in 1976 was far from smooth, nor was it lucrative. He wrote commercials for no pay, living off his lifetime savings in the meantime. The sweat equity was a gamble, but Bellisario knew it would pay off. At his first job in California, where he was directing television commercials, a packet of papers caught his eye one day. On a counter, someone had left a script for the 1969 Oscar-nominated film “They Shoot Horses, Don’t They?” Bellisario enjoyed reading it so much that it inspired him to give script-writing a shot. Using the film about a Depression-era dance marathon as his model, he wrote a script and put it on the corner of his desk for anyone to take. Two weeks later, a casting director who worked in the building shared the script with her movie-making husband. Impressed, the Hollywood director set up Bellisario with an agent. The agent assured the aspiring filmmaker that he would have a feature film within the year. It was in those studios that Bellisario first encountered a young, handsome and mustachioed Selleck. As Bellisario began producing series of his own, he would turn to Selleck, and a young Charles Johnson, the producer of “The Rockford Files” and co-producer of nearly every one of Bellisario’s future series. CBS had just canceled the American police procedural “Hawaii Five-O” after 12 successful seasons and was looking for a new series in Hawaii featuring the budding star Selleck. Based on knowledge mined from a Fodor’s Hawaii Travel Guide, Bellisario modified his “Cutter” storyline to fit the Pacific islands. He cast Selleck as a former Navy SEAL from the Vietnam War turned into Hawaiian shirt/Detroit Tiger ballcap-wearing private investigator driving a red Ferrari. Within two years of producing the pilot, Bellisario’s income tax was more than all the money he had earned in the previous 47 years of life. Bellisario spent eight years making “Magnum P.I.,” but he wanted it to be more than just a fictional television show. His four years in the Marines were influential in setting his life path on the right trajectory, so Bellisario strived to make sure a military theme played an equally heavy role in his first series. It was just four years after the Vietnam War ended. CBS instructed Bellisario to distance the show from a topic that the network was sure “middle-class America would hate.” It believed no one wanted to rehash the struggles of the of war. Reluctant to heed the warning, Bellisario shot the first Magnum episodes with a heavy dose of flashbacks to the war, promising CBS that if it didn’t like those scenes, he would delete them. Bellisario was lying, and he knew it. It’s safe to say that CBS’s decision to keep the flashbacks was a smart one. The show collected 19 Emmy nominations, Selleck won Outstanding Lead Actor in 1984, and John Hillerman won Outstanding Continuing Performance by a Supporting Actor in 1987. The final episode of “Magnum P.I.” in 1988 was one of the most viewed series finales ever, pulling in 50 million viewers. Of even greater significance to Bellisario was the impact his show had among military veterans. Today, Magnum’s Hawaiian shirt, Detroit Tigers hat and team ring that he always wore are in the Smithsonian Institution to honor the show as the first of its kind to portray Vietnam veterans in a positive light. During the eight seasons “Magnum P.I.” aired, Bellisario also wrote and produced the series “Tales of the Gold Monkey,” which ran for two seasons, and “Airwolf,” which ran for four seasons. Both series used aviation and military as the main plot device, an ode to Bellisario’s past. One of Bellisario’s earliest childhood memories is when he encountered an airplane for the first time. His father drove him to a field where an abandoned biplane was parked. His father plopped the 5-year-old Bellisario into the front seat of the plane for a photo, and from there, Bellisario’s infatuation as a child with flight and the military had lift-off. 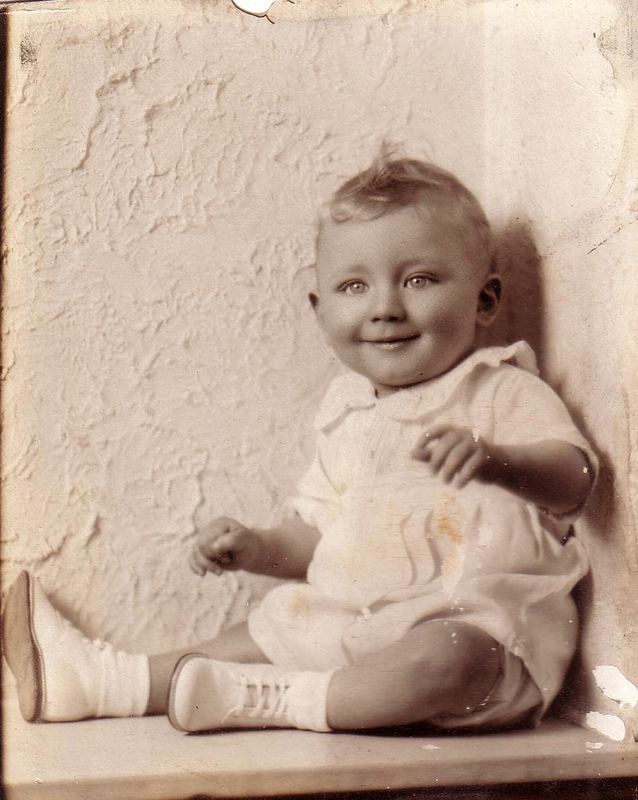 Bellisario was a restless boy always running around town. He was a baseball player and loved to build and play with model airplanes. When he wasn’t busy sweeping the floor or wiping the counters in his father’s bar, Bellisario was a “voracious reader of fiction,” often staying awake past his bedtime with a flashlight under his sheets. Growing up in the ‘40s meant that one thing dominated the airwaves of Bellisario’s radio and the pages of the local paper he enjoyed reading: World War II. His father’s bar served as a communication center for news about the town’s enlisted men. A bowl on the counter held postcards sent from soldiers. Bellisario aspired to be like those young men. He had grand dreams of attending West Point after high school, but in 1953 he wound up as the second alternate for his region’s nomination. The disappointed teenager settled for the affordable in-state option, Penn State. An aeronautical engineering major, Bellisario struggled to make grades. 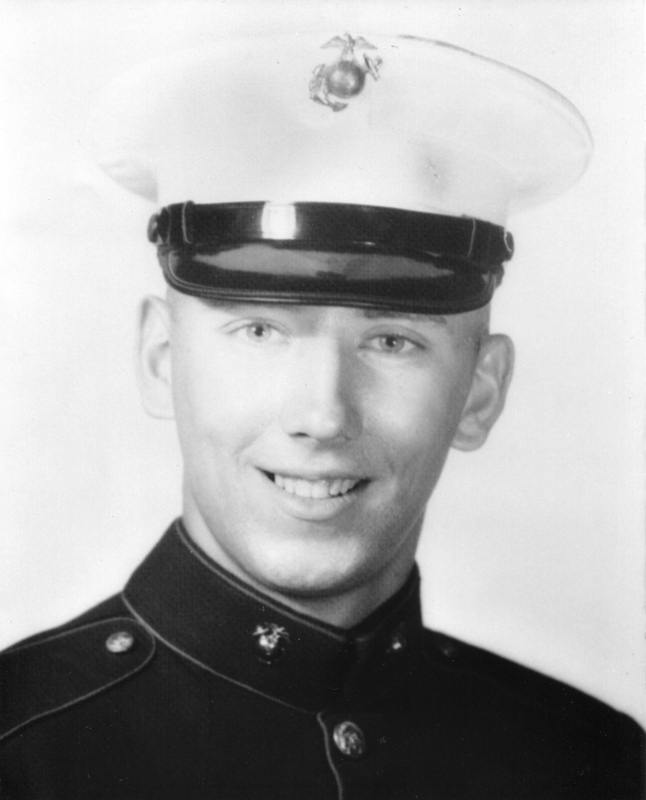 Despite the dejection of not being accepted to West Point, after a year and a half at Penn State, Bellisario joined the Marine Corps in 1955. He was stationed at Mojave Naval Air Station in China Lake, California, and served for four years. Bellisario served four years in the Marines. While there, Bellisario received notice that he had been accepted into West Point. But having already been assigned to flight school in the Marines, Bellisario declined the appointment. Realizing his childhood dream of becoming a pilot, Bellisario was able to fly military helicopters in training exercises and still enjoys leisurely flying today. In 1959, Bellisario left the Marines and returned to Penn State, married and became the father of a son and two daughters. He moved his family into a State College trailer park and searched for a new path forward, going to a university career event just a few days into the new semester. The man — journalism professor and World War II veteran Roland Hicks — turned out to be one of the most influential figures in Bellisario’s early life. Bellisario spent many hours in Hicks’ office, visiting almost daily as he gleaned the professor’s philosophy on life and the advertising industry. Bellisario pursued journalism for the next two and a half years. He took an advertising job at the Centre Daily Times, the State College newspaper, and juggled school, work and fatherhood until his graduation. Bellisario had two jobs offers after graduation, one with an ad agency in New York and the other to continue with the Centre Daily Times. Both paid $500 a month. Given the difference in cost-of-living in New York and State College, the decision was easy. For four years Bellisario remained with the Centre Daily Times before being offered a position with an ad agency in Lancaster. It was there that the future script writer and producer began to dabble with film, producing a television commercial for a company called Penn Dairies. Disdaining the industry standard of “boring advertisements” featuring a still image with voice-over narration, Bellisario approached his superiors with a request to shoot a moving film commercial. If he could guarantee the film would be no more expensive than the slide ads, the job was his. With a $300 budget and virtually no experience of cutting film, Bellisario recruited an actor from a local theater and directed a 30-second film. The day of the shoot, a thick, eerie fog rolled in, threatening to smother his directing career before it even started. But Bellisario used the adverse conditions to his advantage. He sent the milk man walking through the woods, over a creek, over downed trees, and through paths of thick fog before arriving at a little house in the woods where there was an empty milk crate, waiting to be filled. “I simply zoomed in and said, ‘Penn Dairies, we’ll go to any length to deliver,’ ” Bellisario said. Bellisario won advertising awards for his directorial debut – and a higher paying job in in 1968 at Bloom Advertising in Texas. In Dallas, Bellisario produced countless commercials for companies like Zales Jewelers and Southwest Airlines. The next stepping stone would likely be with a bigger ad firm in New York. Bellisario and his wife, who by that time had four children, divorced. He stayed in Texas for one final year before making the most impactful flight of his life to Hollywood. And write he did. Bellisario’s favorite noise to this day is the sound of a clicking typewriter. By the time “Magnum” wrapped up in 1988, Bellisario still longed for “that beautiful sound” and wanted to add a new writing element to his career at the same time CBS was looking to draw in a new and younger viewer audience. Bellisario had always been fascinated with time travel since reading tales of the concept as a child, and the science-fiction genre fit the mold that would likely bring in the 18-to-35-year-old demographic. A few months later, Bellisario created what would become his favorite television series, “Quantum Leap,” and began working with Scott Bakula, his favorite actor in over 40 years of relationships working in show business. In one of “Quantum’s” more famous episodes, Bakula jumps into the body of a Secret Service agent to save Jackie Kennedy from the Lee Harvey Oswald gunshot that killed President John F. Kennedy. This episode was the only one that dealt with an actual historical event, but with good reason from Bellisario’s viewpoint. Bellisario recalled discovering Oswald sprawled on the floor of his military base, reading communist newspapers. Bellisario said he was outraged and nearly challenged Oswald to a fight. “Quantum Leap” was canceled after five seasons but was recently ranked by TV Guide as one of the “Top Cult Shows Ever.” In 2017, Bakula and Bellisario revealed at the Los Angeles Comic-Con that a movie script based off the television series had been completed. Returning to a military theme, he created “JAG,” a series following the exploits of lawyers in the Department of the Navy’s Office of the Judge Advocate General. In 2003, two years before “JAG” would come to an end, CBS ordered a new series from Bellisario. He ran the pilot for his new series, “NCIS,” as a two-episode JAG spinoff that focused more on criminal investigations than in the courtroom proceedings of JAG. Although not featured in the pilot, Mark Harmon stars as Agent Leroy Gibbs, the lead investigator of the Naval Criminal Investigative Team. A disagreement between Harmon and Bellisario in 2007 over the show’s direction forced an abrupt end to Bellisario’s affiliation with the series. As Bellisario began distancing himself from the show to focus on other works, Harmon wanted more direct input. The dispute lingered until the star actor eventually seized full control. Today “NCIS” is the second-longest-running scripted non-animated primetime series. In 2013 Bellisario and CBS settled a 2011 lawsuit by Bellisario regarding profits of the spinoff “NCIS: Los Angeles,” a show Bellisario did not create. The terms of the settlement were not disclosed. At the age of 83, the paternal message that kept Thomas Magnum treading water still rings true in Bellisario’s mind. He’s still never written a successful feature film, but that won’t stop him from trying. Bellisario has four movie scripts in the works. He calls one of them his “best script ever.” Of course, its theme is World War II. Bellisario’s life, however, will not be defined by whether he writes a successful feature film. More likely, a more meaningful accomplishment will be his influence on future generations of college students. His donation last year to the Penn State College of Communications will pay for professorships and state-of-the-art media facilities. And it will provide scholarships favoring students with military backgrounds. Without Penn State, Bellisario said, he might still be treading water as Thomas Magnum did 35 years ago. Magnum was saved by a life preserver flung from a rescue helicopter. And now Bellisario’s donation metaphorically does the same for students who need help to pursue their dreams. Just amazing! So well written but extremely on point with every word that describes Don’s true desire and true love of his life! He is a “MAN’s” man of the extreme that gets endless joy out of making others happy or give them the chance to experience their FIRST of just about anything in life! Well, done article! Such a beautiful peace, many will agree. From the start of his childhood right up until his present. Absolutely captured this wonderful gentleman and how his amazing mind works. Behind every man at this level of intelligence is a strong woman who is his complete equal on all levels.